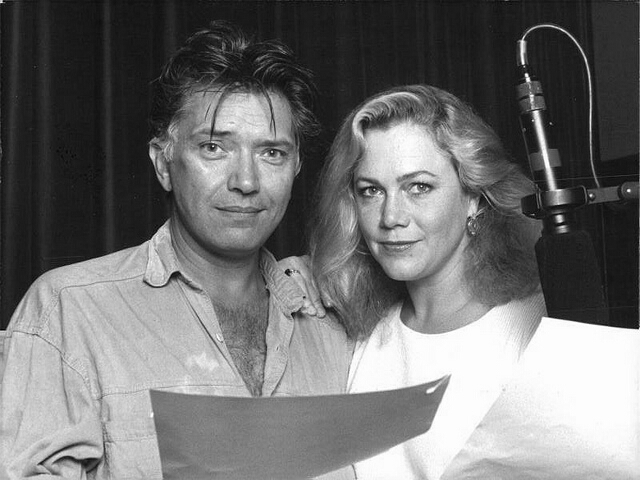 Martin and Kathleen Turner 1991. - BODIE 3.7 . you'll never walk alone ! Martin and Kathleen Turner 1991. Nice. Did they play together in a film? I'm glad that you like it. They did a play together on the radio here in the uk. They both look great in the photo, but is it me? Or do they not look comfortable with each other? I always liked Kathleen Turner as an actress. Thankyou so much for looking at this pic though i was wondering if Martin is not in a photographic mood or if they were asked to be serious looking. I have seen her in a few movies but nothing recent. Yeah, having your piccy took must wear after a bit. i guess so...looking at it again it seems Martin's smile is a little strained. This is totally new to me, thanks. Didn't know that they'd worked together. I get the feeling this is a look serious for the publicity pictures pose but I'm still happy to see him. You are very welcome and yes they did a drama play on radio 4 here in the uk back in 1991. They do look to be very serious together and i'm glad that you like him.